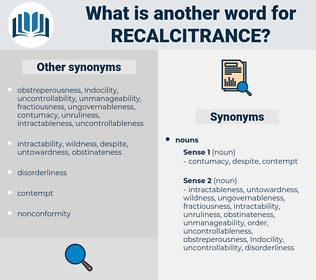 What is another word for recalcitrance? cowardice, peace, humility, fear, caution, harmony, answer, modesty, respect, love, care, timidity, calm. 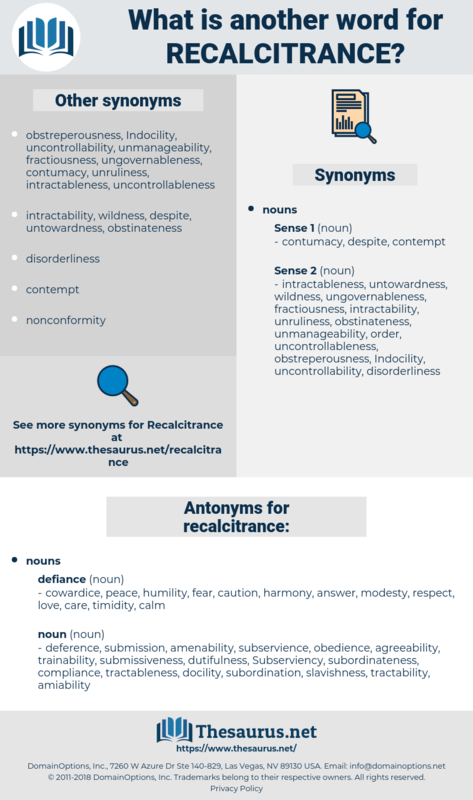 deference, submission, amenability, subservience, obedience, agreeability, trainability, submissiveness, dutifulness, Subserviency, subordinateness, compliance, tractableness, docility, subordination, slavishness, tractability, amiability.